Windows 10 1607 Anniversary Update has been declared as Current Branch for Business (CBB) and is ready for deployment. According to the Microsoft, they have addressed nearly a thousand items of feedback from all types of customers, including enterprises performing pilot deployments. With hundreds of millions of devices already running the CBB version 14393.447 installed by KB 3200970 or any later update, organizations can be assured Windows 10 1607 is fully ready for them. The company also mentioned that, the 3X increase in Windows 10 enterprise deployments over the last six months. 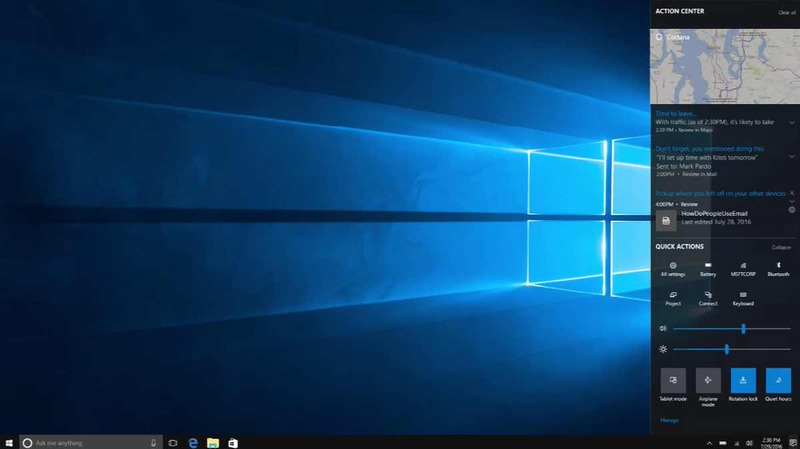 Australian Department of Human Services, Hendrick Motorsports and Crystal Group of Companies all deployed Windows 10 recently. Microsoft also said that Windows 10 customers are 58% less likely to encounter ransomware than when running Windows 7. Enhanced cloud infrastructure allows our antimalware researchers to utilize machine learning models to identify and block malware more quickly. Users in the Current Branch for Business should be able to get the Windows 10 Anniversary Update right now, and it’ll be coming to the Long Term Servicing Branch in the near-future.